Nelson Piquet won the Italian Grand Prix, which took place at Imola rather than the usual Monza circuit, and in so doing overtook Alan Jones in the drivers' championship. A month earlier Jones led by 11 points and many were proclaiming him as champion elect. 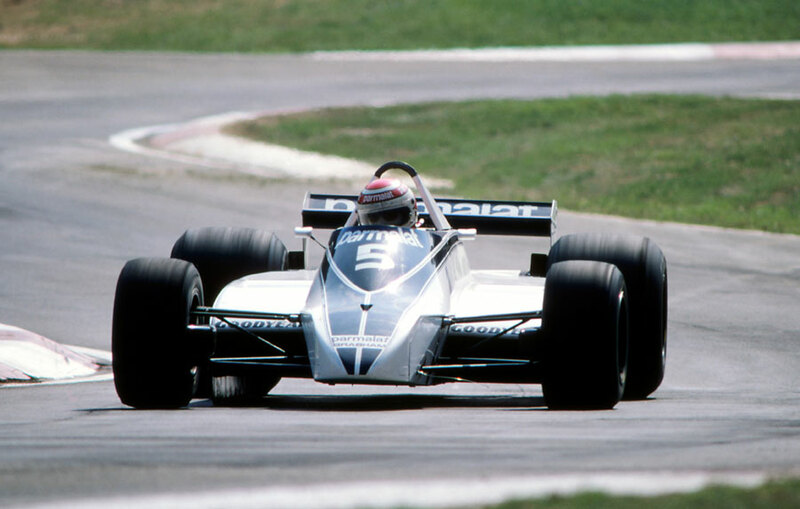 But Piquet's win ensured the season would go to the wire. Rene Arnoux and Jean-Pierre Jabouille led in their Renaults from Piquet, the Alfa Romeo of Bruno Giacomelli and the Ferrari of Gilles Villeneuve and as Jabouille moved past his team-mate, Piquet rather cheekily followed suit and left Arnoux back in third. When Jabouille missed a gear on the third lap, Piquet pounced and took the lead. Villeneuve moved past the Alfa Romeo of Giacomelli before his tyre exploded on the fifth lap and the Ferrari left the road at 180mph with a massive whack into the barriers. The car disintegrated on impact and the main monocoque was thrown back in to the oncoming traffic. Remarkably, Villeneuve emerged with just concussion and a cracked helmet. Jones had fought from seventh at the end of the first lap to third, but it took him until almost halfway through the race to pass Jabouille, and by then Piquet was out of sight and he was having his own problems. "I had very weak brakes from the 15th lap," Jones explained. "From then on the metal was to the floor." Jabouille retired on the 60th lap while in third because of gearbox trouble, and his team-mate Rene Arnoux ended back in tenth after battling dodgy shock absorbers. That allowed Carlos Reutemann to take third, a remarkable comeback after he had overheated his clutch on the grid and dropped to the back of the field and then lost fourth gear. Jody Scheckter, retirement looming, was fortunate to escape a huge crash when his Ferrari smashed into a wall backwards at the same point Villeneuve had crashed. "It was my fault," he shrugged. "I went out on cold tyres and hit a bump on the fastest curve."